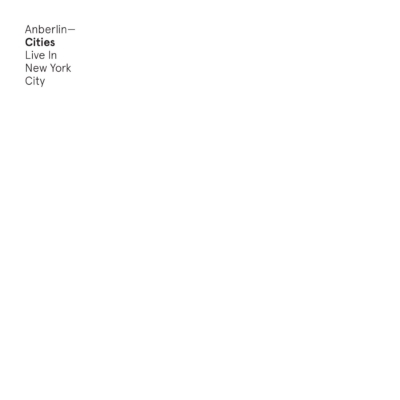 Anberlin will be releasing a live version of their third record Cities - Live in New York City on July 24th, 2015. Recorded live at The Gramercy Theatre, the album celebrates Anberlin's incredible career with the second half of the concert first introduced by Never Take Friendship Personal - Live in New York City. Produced by original producer Aaron Sprinkle, the live album brings Anberlin's vibrant live show to the fans who weren't able to attend a date of the final tour in 2014, solidifying the band's legacy in the hearts of fans all over the world.